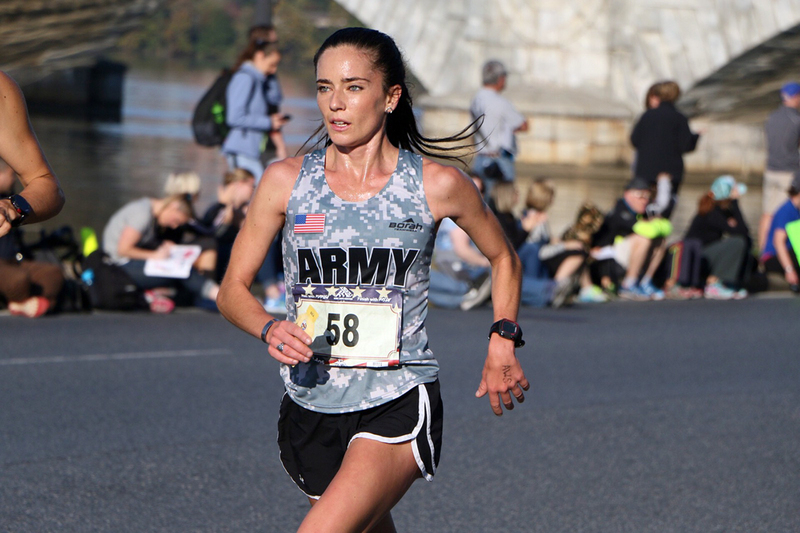 For the seventh consecutive year, the Army men defeated the other services at the Marine Corps Marathon to win the Armed Forces Championship. Leading the team was Spc. Michael Biwott who ran a time of 2:30:14 to place 6th out of the more than 20,000 race finishers. The Army placed four runners in the top 12 with Spc. George Kiplagat, Spc. Peter Koskey, and 1st Lt. Trevor Lafontaine finishing 10th-12th. Rounding out the team were Capt. Chad Ware and the team’s coach, Col. Liam Collins. Not to be outdone, the women’s team dominated the other services by placing three runners in top 10 of all female finishes. Former race champion Capt. Meghan Curran placed second overall with a time of 2:50:24 and won the Armed Forces Championship for the third time in four years. Capt. Chelsea Kim and 1st Lt. Jennifer Comfort finished in 4th and 10th, respectively. Capt. Maggie Smith also ran a strong race finishing in 20th place. In All Army Sports, Soldiers from Active Duty, Reserve and National Guard compete in a variety of sports at the highest levels to include Armed Forces, USA Nationals and Military World Games. We support Soldier readiness and well-being through athletic performance, military bearing and competitive spirit.